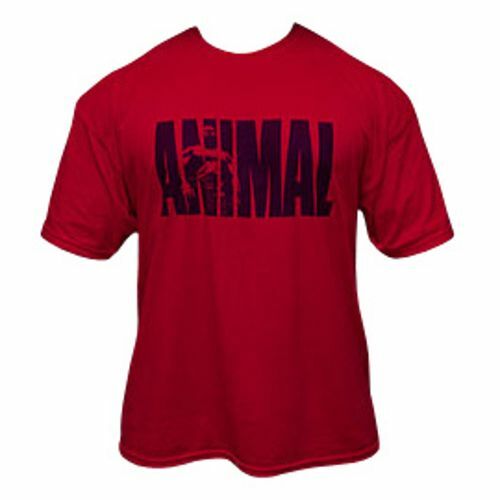 Show off you gym gear in this sharp-looking Universal Nutrition Animal T-Shirt. Advertências: To avoid danger of suffocation, keep the plastic bag the shirt is packaged in from babies and children. Do not use in cribs, carriages, or playpens. Knot bag before discarding. Notas: 50% cotton, 50% polyester. Classic "Animal A" logo on back. Recomendações de uso: Wear with pride! Universal Nutrition Avaliações de Clientes.